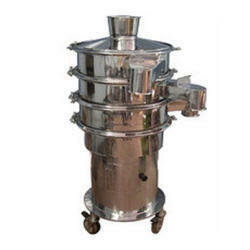 Leading Manufacturer of vibro sifter from Navi Mumbai. With the inclusion of contemporary machines and advanced tools in all our processes, we are engaged in manufacturing and supply a wide assortment of Vibro Sifter. Our skilled professionals use quality assured raw material and the latest technology while designing the entire range. The offered range is widely appreciated all over the world for its salient attributes. With our quality range, we are able to maintain a strong foothold in this industry. Clients can avail this gamut of sifter from us at industry leading rates.